The Les Nouvelles Esthetiques Spa Awards Gala Dinner evening was filled with excitement and glamour as some of the industries most respected and well-known names and media came together to acknowledge their peers. In keeping with the Las Vegas theme, the d�cor of the room transported one to a city where all dreams can come true. Entertainment was provided by Cameron Bruce with his smooth vocal style, skilful guitar work and own striking lyrics, setting him as one of the country�s leading artists. The Les Nouvelles Esthetiques Spa Awards Day Spa Category Finalists were Shambala Wellness Centre - Tibetan monks describe Shambala as a mystical kingdom hidden somewhere beyond the snow peaks of the Himalayas. In Sanskrit it is defined as "a place of Peace, Tranquility, and Happiness." At Shambala Day Spa, nestled in the heart of Historic Downtown Palm Harbor, Port Elizabeth, the owners have created a setting that certainly lives up to its name. Danika Spa, located in the heart of Klerksdorp, where the focus is on privacy and the total spa experience, as all guests are treated as royalty. Indulge in the unique reflexology Bean Walk, as you walk in heavy Bali pots while your toes curl amongst the seeds. Spa de la Veille, Centurion, capturing the essence of France, Spa de la Veille boosts tasteful finishes and pure indulgences. The nine treatment rooms have all been decorated with furnishings carefully chosen, with a great sense of detail and comfort in mind, in addition to the manicure / pedicure lounge and hydrotherapy areas. 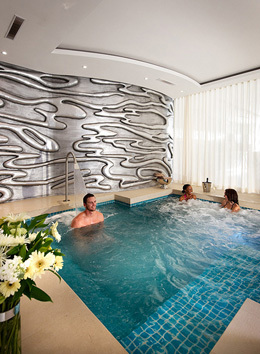 Boasting the unique Signature Treatment: Le Voyage de Vie � a one of a kind hydrotherapy area. The voyage involves a visit to a number of hyrdotherapy stations, allowing the benefits of heat and cool to invigorate and rejuvenate, as Spa de la Veille strives to ensure clients live a longer and healthier life. Each year the judging of the Unique Spa Concept Category is always extremely difficult, as all spas in this category are very different from one another, but we are proud to announce the finalists in this category: Jiva Spa at the TAJ Hotel, Cape Town, where guests are invited to experience a spectrum of traditional Ayverdic wellness treatments in a tranquil ambience. The philosophy of Jiva or �Innerforce� is inherently rooted in India�s ancient approach to wellness. Inspired by ancient Indian healing wisdom, Jiva believes that a spa unfolds a holistic path of life that opens out channels to nurture ones� life force. Jiva Spas embrace a deep understanding of mind, body and spirit. The 6 organically designed treatment rooms with contemporary finishes provide the perfect ambience to unwind and discover a sense of tranquillity. Ingaadi Spa and Event, located East of Pretoria, is a place of many moods. Well-being, luxury, festivity, celebration, business, learning or just relaxation, whatever your expectation of Ingaadi is, their ultimate intent is to make your experience memorable. The elegant simplicity is a symbiosis of elements of international sophistication, seasoned with a touch of essence of Africa. And Just Haven Nomadic Spa Events is a unique Nomadic Spa Concept for very special events. Heavenly comfort, sheer indulgence and exotic charm, breathtakingly created for guests at the location of their choice. Harmonious nomadic gazebos, white draping billowing in the breeze, silver candelabra, warm wood, sumptuous chairs with soft throws and cushions, lush textures and exotic fragrance. Simply select your location, and Just Haven does the rest. The finalists for the Les Nouvelles Esthetiques Spa Awards Boutique Hotel Category include Sanctuary Spa at Majeka House, nestled on a private garden estate in Stellenbosch, Majeka House offers a lifestyle of quiet luxury. Tastefully decorated to calm and soothe, the spa offers a unique experience where guests can enjoy the Himalayan Crystal Salt bed, with the added benefits of colour therapy for deep relaxation, amongst other signature Sanctuary Spa treatments. Suntra Spa at 15 on Orange Hotel, Cape Town's newest icon of style, is set in suburb of Gardens at the foot of Table Mountain. Distinctive architecture, decor that defies categorization and a guest service experience extraordinaire sets the African Pride 15 on Orange Hotel apart from any hotel of its kind. Suntra Spa draws its name and inspiration from a star named Suntra, which is responsible for bringing the water element to planet earth. With state of the art spa facilities, Suntra Spa offers holistic, therapeutic and aesthetic care, combined with the latest technology to ensure visitors experience the ultimate in indulgence. Fordoun Boutique Hotel and Spa being the winner in the category of Boutique Hotel Spa. Previous Les Nouvelles Esthetiques Spa Awards winner, Fordoun Spa in the Natal Midlands boasts an oasis of relaxation and sensory bliss. At Fordoun we believe that health begins with the mind and spirit and guests should leave feeling positive, de-stressed and energized. Unique to Fordoun - Dr Elliot Ndlovu - herbalist, ethno-botanist and the country's leading expert on Zulu traditional healing and indigenous plants - takes Tours from Fordoun to the Kamberg where guests will enjoy a genuine African healing experience. In the Safari Spa Category, our international flagship category as it represents the essence of Africa, through the combination of safari and spas, the winner was Etali Safari Spa, located in the heart of the spectacular Madikwe Game Reserve. Embraced by pristine bushveld nurtured by Africa's rich red soil, Etali Safari Lodge is built in harmony with nature. It is an exclusive, intimate haven, where clients are rejuvenated in surroundings created by people who understand luxury. Etali's state-of the-art Wellness Spa is unique in concept. The design and layout of the cool, thatched, secluded Wellness rooms, lends itself to a sense of "space" allowing guests to hear the echo of the elephants around the water hole and the weaverbirds tapping on the windows. From the moment guests steps into Etali Wellness Centre a new experience awaits them each and every day. The finalists was Duma Manzi Eco-lodge & Spa, a sanctuary offering a Unique African Wilderness & Wellness experience, providing an affordable 5 star experience with an elegance and personal touch. A comfortable 1-hour drive from Durban lying on both sides of the Mkomazi River, Duma Manzi covers a 5000 hectare reserve, nestled in the forest valley. This extraordinary beautiful and tranquil African Wilderness setting is the ideal retreat for those seeking privacy, exclusivity and absolute serenity, allowing one to indulge in one of the holistic spa treatments, a leisurely walk along the river bank, opportunity to explore on a mountain bike or self guided trail or simply curl up with a good book on a couch on the deck. 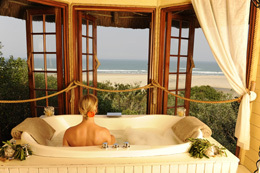 In fact, the only thing one could find stressful during time at Duma Manzi would be the selection of choices. Askari Game lodge and Spa reflects the environment that surrounds it � African veldt and wildlife rise up to meet the African sky and the majestic Magaliesberg mountain range. This Big 5 Game lodge is scenically set between Hekpoort and Magalieburg and pays tribute to South Africa�s rich archaeological and cultural history. Located in the heart of the lodge, the entire spa opens up on outdoor relaxation areas and private gardens. The core philosophy of natural health is based on nurture, inspiration and the use of mother Earth's ingredients, to provide guests with the most invigorating treatments imaginable. Emoya Private Game Reserve and Spa is situated on the western border of Bloemfontein, a region also known as "Big Sky Country". 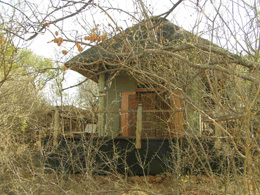 This 270 hectare Game and Nature Reserve is located in a pristine natural setting. �The Resort/Hotel Spa Category, as per previous years was the most closely contested category, as the countries finest hotels and spas entered the spa awards 2012, making the judges decision extremely difficult as results were once again separated by only a few points and each spa in this category quite exceptional.� Says Dr Nadine de Freitas, Managing Editor, Les Nouvelles Esthetiques South Africa. The finalists in the Resort/Hotel Spa Category were Mount Grace Country House and Spa, Camelot Spa at Peermont Mondazur Hotel, San Lameer and The Spa at the Twelve Apostles Hotel. The recently reopened, extensively-renovated Spa at The Twelve Apostles Hotel, Cape Town, now boasts an ethereal, all-white crystal grotto interior. The interiors use natural stone, marble, granite and glass to create a textured feeling throughout. White patterned cornices adorn the ceilings of treatment rooms while the same pattern is repeated on doors and walls, with Buddha statues and oil burners utilising the B|Africa range providing a sense of tranquillity. 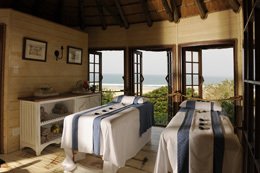 While the interior of The Spa is exceptional, The 12 Apostles� unique position on the mountains overlooking the Atlantic Ocean means that a sunset treatment or romantic couples picnic in the newly-renovated outdoor gazebos is an absolutely unforgettable experience. Camelot Spa at Peermont Mondazur Hotel, San Lameer, is immersed in an enchanting sub-tropical ambiance, set between sea and sky. San Lameer on the KZN South Coast presents itself as South Africa�s latest coastal destination spa - where wellness is the true destination. Draped in elegant white fabrics, the relaxation area overlooks the resort�s pool and the gorgeous, forested lagoon. Minimalist Balinese architecture with clean lines of patterned white glass are blended with sandstone walls. 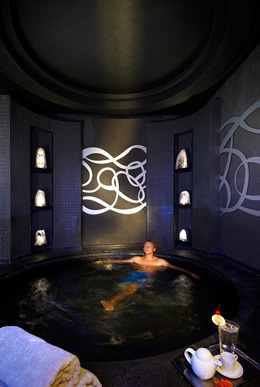 The spa is washed by a sensory light and cooled by internal Zen plantings. Upon entering the Camelot Spa guests are captivated by a sense of calmness, continuity and peaceful abundance enhanced by the luxuriant tropical landscape. Mount Grace Country Hotel & Spa, tucked away in the ruggedly Magaliesburg Mountains, just an hour from Johannesburg, Mount Grace Country House & Spa, offers the ideal environment to unwind. Mount Grace Spa features 18 pristine, spacious treatments rooms, an ultra deluxe pedicure lounge, elegant furnishings and soothing neutral colours which adorn the main spa building. 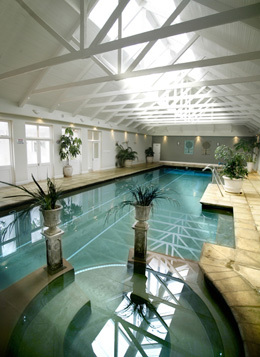 Enjoy the legendary Hydrotherapy Spa Garden with hot and cold pools surrounded by exquisite tranquil gardens. Waterfalls add to the therapeutic healing effect of the sound of water together with an outdoor Jacuzzi and a state-of-the-art liquid sound flotation pool. Walk barefoot on the cobblestoned reflexology path to stimulate the pressure points and embrace the meditation points in the garden to help you re-engage with your inner self. The winner of the Resort/Hotel Spa Category was Soulstice Day Spa at the Siverstar Casino, Mongale City. Soulstice Day Spa, is built into the side of the Krugersdorp hills, this modern, architecturally profound spa, is inspired and named after the ancient Sun Goddess of Wellness, and adhering to the philosophy preached by Sulis: �Take time to restore yourself.� The spa overlooks the awesome �Fountain Spectacular,� the largest water feature in the Southern Hemisphere and the second largest in the world. The 15 beautifully contemporary decorated treatment rooms can be customised according to the client�s desires. Each room has a plasma screen on which a soothing video clip of tropical fish, butterflies or a fireplace can be played. The overhead lighting colour can be selected according to the client�s desire. Complemented by extensive hydrotherapy facilities, allowing clients to relax in the warmth of the African sun and enjoy a dip in the cool water pools or heated rock pool or invigorate your senses in the sensation shower. Indoors clients can soothe their body with the heated jet spa or indulge in our sauna, steam room, rasul or floatation pool. 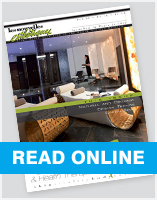 Soulstice Day Spa is a proud member of the prestigious Spas of Distinction group. The Spa Ambassador Award goes to a person who has made the industry proud and whose presence in the industry is noted internationally. The Spa Ambassador Award 2011 was awarded to Elsa Kruger from Shape Magazine. Elsa Kruger has constantly held the flag high for the spa industry and supported the SA Spa Association on all occassions, including ensuring the continued success of the Spa Index. Elsa has been fair in her assessment of spas and spa products, ensuring the Shape reader is informed and enthusiastic about their next spa visit. The Spa Humanitarian Award is awarded to a person who by definition is actively concerned in promoting human welfare. The 2012 humanitarian award was awarded to Donald Perry from Duma Manzi Eco Lodge & Spa. Donald is an innovator and a man to be acknowledged for the ecologically sensitive manner in which he has developed Duma Manzi Eco Lodge & Spa. This eco development uses only eco friendly products, consumes only clean green energy, uses local supplies and building materials, support the local community, and is certainly one Kwa-Zulu Natal�s flagship establishments, from marketing to eco-operations. Recently Donald has also been nominated as Chairman of Richmond Tourism to drive the industry in this area. Creating new areas for tourism and developing sustainable employment in this poverty stricken rural area. The Spa Visionary Award is awarded to a pioneer within the Spa Industry. A industry leader who has made truly outstanding contributions to the development of the Spa Industry over the past year and whose ideas have lead to a change or noted improvement in the spa industry. The Spa Visionary Award for 2012 was awarded to Renchia Droganis from Africology. Renchia started her career as a life coach and holistic healer. After she trained as a Reiki master and aromatherapist, she incorporated homemade, bespoke skincare products that contain essential oils in her therapies, which were a huge hit with her clients. When a spa approached her to make a body wrap, she took on the challenge and launched Africology, which has grown steadily since its beginnings in 2001. The Africology range is completely chemical-free and can be found in some of the most luxurious spas around the world. Renchia�s four children are also involved in the business, which makes Africology a true family business. The newly introduced Spa Management Excellence Award is acknowledges the dynamic spa manager who best keeps the balance between a motivated team, good working environment, superb guest experience, profitability, and efficient spa operations, with appreciation of the role of the spa manager is one of the most challenging in this industry. The runner �up was Beverley Reid - Camelot Spa Royal Swazi Spa, Beverley is described by her team as �understanding, unselfish and friendly�. She has brought continuous success and increased revenue to the spa, always exceeding expectations; while her proactive and responsible nature ensures the property is run at the highest standards.. And the winner of the Spa Management Excellence Award 2012 was Ilze Bowen, Spa de la Veille. Committed to professionalism and spa excellence. Ilze leads her team with professionalism, encouragement and support. She is committed to training, and encourages each staff member, to achieve their fullest potential, in addition to attending all trainings and further spa education courses herself. The spas are run with precision and attention to detail, allowing each client to relax and enjoy their experience without a concern.